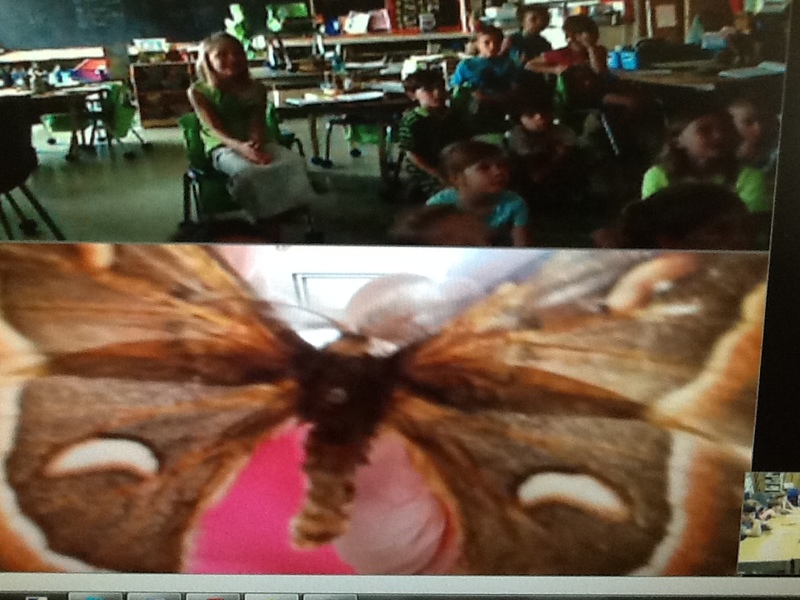 Last week we also video conferenced with the Butterfly Conservatory in Niagara Falls. After raising our Painted Lady Butterflies, we still had so many questions. 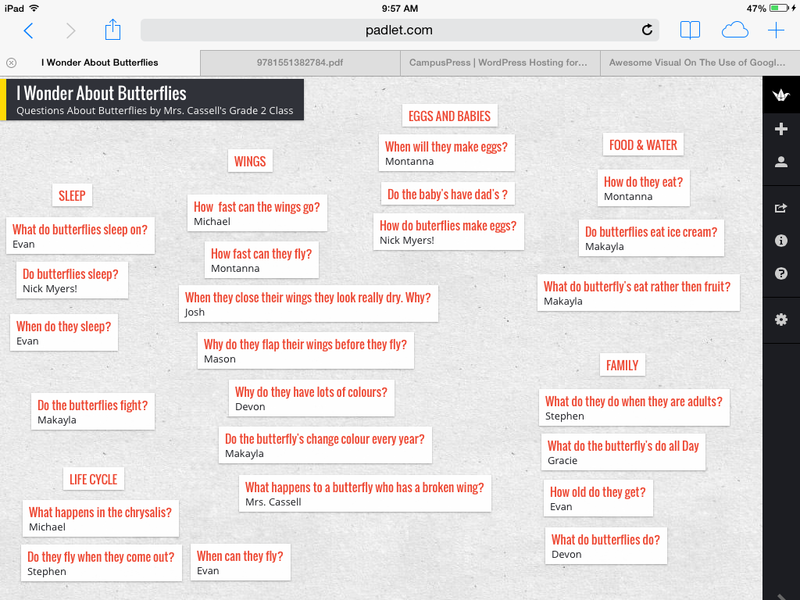 We used Padlet to create a shared board with all of our questions for Cheryl at the Conservatory. We were also wondering about moths. What is the difference between butterflies and moths? We got to ask Cheryl all of our questions. And after our video conference, we got to play with augmented reality by bringing our butterfly art work to life! Check out some of our videos to see what we learned!